May 17, 1997 – Space Shuttle Atlantis (OV-104) performs its sixth docking with Mir during the STS-84 mission. The Shuttle-Mir project would eventually see 11 total Shuttle dockings with Mir, with Atlantis visiting Mir for a total of seven times. On STS-84, Atlantis carried the SPACEHAB in the payload bay. During the May 17 Atlantis mission, Astronaut Jerry Linenger was replaced by Astronaut Michael Foale as the NASA representative on Mir. Linenger spent a total of 123 days aboard Mir, and participated in the first U.S.-Russian spacewalk. Linenger was also aboard Mir on Feb 23, 1997, when fire broke out on the orbiting Russian laboratory, caused by a malfunctioning solid-fuel oxygen generator. Mir (which in Russian means “Peace”) certainly had it’s share of problems. 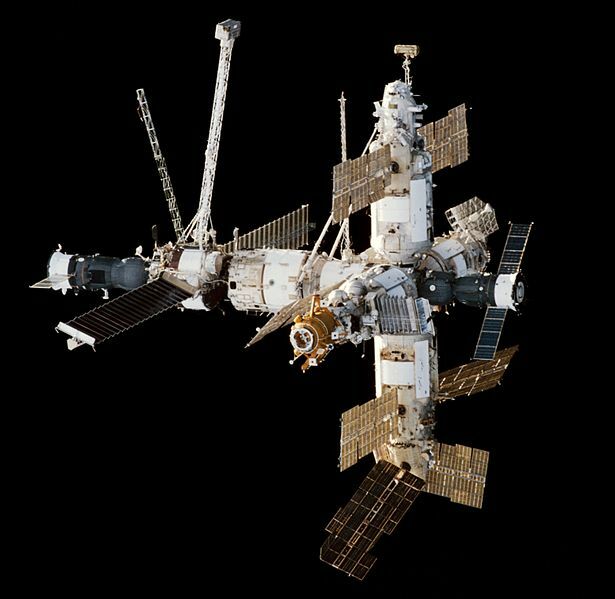 On June 24 that same year, a test was made of a new Progress freighter docking system, which failed and resulted in a collision of the space freighter into Mir, starting an air leak and damage to the space station electrical systems. 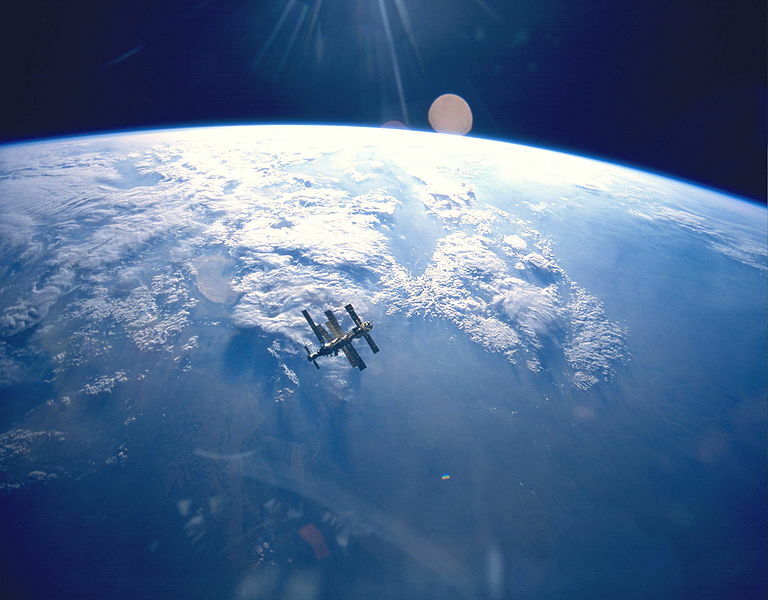 Mir deorbited and broke-up in Earth’s atmosphere on March 21, 2001. 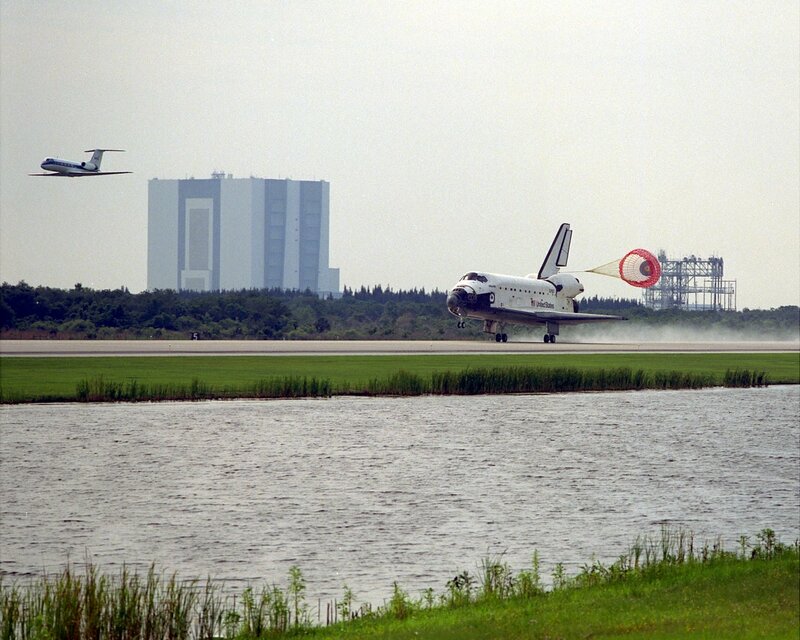 Atlantis returned to Earth on May 24th, landing at the Kennedy Space Center runway, close to where it was launched just nine days previous at Space Launch Complex 39A. On July 8, 2011 the Space Shuttle Atlantis (mission STS-135) flew for the last time, and that flight was also the final flight of the Space Shuttle program. The Space Shuttle Atlantis was retired on its return to Earth on July 21, 2011, and is planned to be on display at the Kennedy Space Center Visitor Complex in Florida. Curator of Space Race Leadership lessons for Business and Personal Development: www.MeasurableSuccess.com. Collector and creator of space memorabilia. Visit us at www.AresRocketCoin.com and www.SpaceShuttleCoin.com. This entry was posted in Leadership lessons from the Space Race, NASA Space Shuttle and tagged Kennedy Space Center, Mir, NASA, Soviet Space, Space Shuttle. Bookmark the permalink.